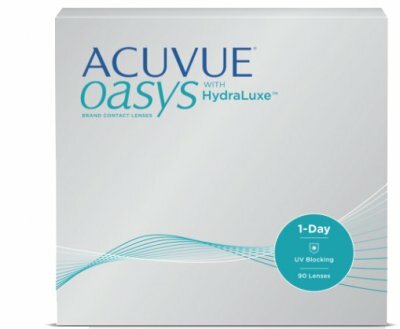 ACUVUE OASYS 1-Day lenses with HydraLuxe are suitable for all conditions and support eye comfort totally. HydraLuxe™ Technology is a tear-infused design with an enhanced network of tear-like molecules that integrates with your own tear film each day. These tear-like molecules are used to help support a stable tear film and reduce symptoms of tired eyes and dryness.